se3 – our most advanced formula YET! Stemtech was the first to discover a ground-breaking way to support everyone in their daily lifestyles. Now in its third generation, se3® is on the forefront of modern science and designed to deliver unprecedented results. 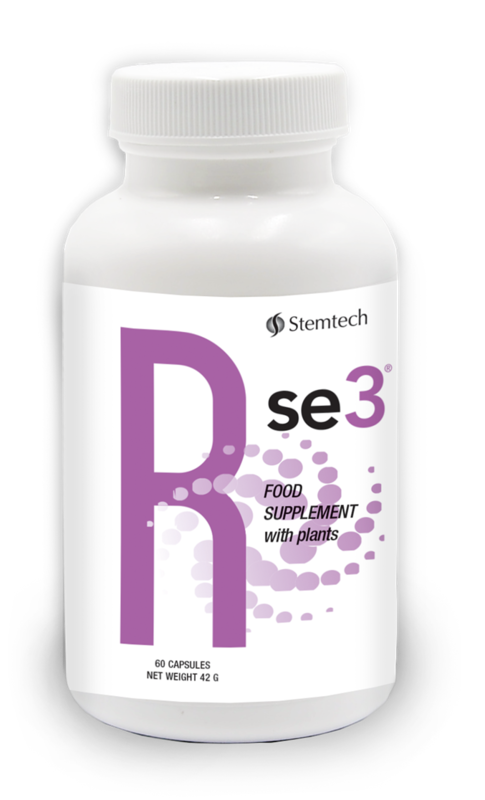 se3 is the only nutrition formula to contain an exclusive blend of clinically tested and high purity ingredients. Our advanced se3 now contains advanced blend of powerful natural compounds and has three times higher concentration of fucoidan than previous version of this product. The advanced se3 contains indispensable Aloe macroclada and other new powerful compounds such as Astragalus, Turmeric (Curcuma longa), and wheat grass. These natural compounds are effective in increasing the potency and efficacy of the other compounds in se3 and their synergistic action. Release step: Our new exclusive blend of Undaria pinnatifida and Aloe macroclada acts in synergy. Immune system: Astragalus membranaceus root and Curcuma longa extract contribute to body defences against external agents. Oxidative stress: Fucoidan and Curcuma longa extract contribute to the protection of cells against oxidative stress. Tonifying agent: Cordyceps sinensis and Astragalus membranaceus root are used in Chinese traditional medicine as natural stimulating agents. Undaria Pinnatifida is an ultra-pure marine algae grown in pristine ocean waters. Known as one of the ocean's greatest treasures, Undaria pinnatifida (fucoidan) has been documented to offer a wide variety of benefits. It is a rich source of polysaccharides as well as proteins, soluble fiber, vitamins (A, B1, B2, C), and minerals, such as iodine, calcium and magnesium. Fucoidan is highly bioactive and as such is easily absorbed and assimilated. Aloe macroclada has been used for centuries, is endemic to Madagascar and traditionally considered by the local people as a natural wellbeing ingredient. Aloe macroclada is a natural source of polysaccharides, minerals, vitamins, and other beneficial nutrients. Astragalus membranaceous Extract has been shown to have a beneficial role in a daily diet. Astragalus has been used in traditional Chinese medicine for thousands of years and is considered to be one of the most effective natural stimulants, tonifying agents and immune-boosting compounds. Cordyceps sinensis is a mushroom that naturally grows in the high plateaus of Tibet, Nepal and parts of China. It has been known in traditional Chinese medicine for over 2000 years and it is used as a tonifying agent and adaptogen. This edible mushroom provides a wide variety of benefits and is a rich source of polysaccharides, and also provides proteins and vitamins (B1, B12 and C). It is certified Organic. Curcuma longa (Turmeric), besides its well-known use in foods preparation, has been extensively researched for numerous benefits and supported by thousands of research studies. Turmeric is a powerful antioxidant, helps protect cells from free radical damage and oxidative stress. How to consume the product? The recommended daily quantity is 1 to 3 doses. One dose corresponds to 2 capsules. It is advised to consume the capsules with a glass of water.